Now here’s a holiday to celebrate! Today lets me know I am not alone! There are apparently many more out there who love Scrabble. There is an International Scrabble Club created and run by the player known as Carol (real name Florin Gheorghe), who lives in Romania. 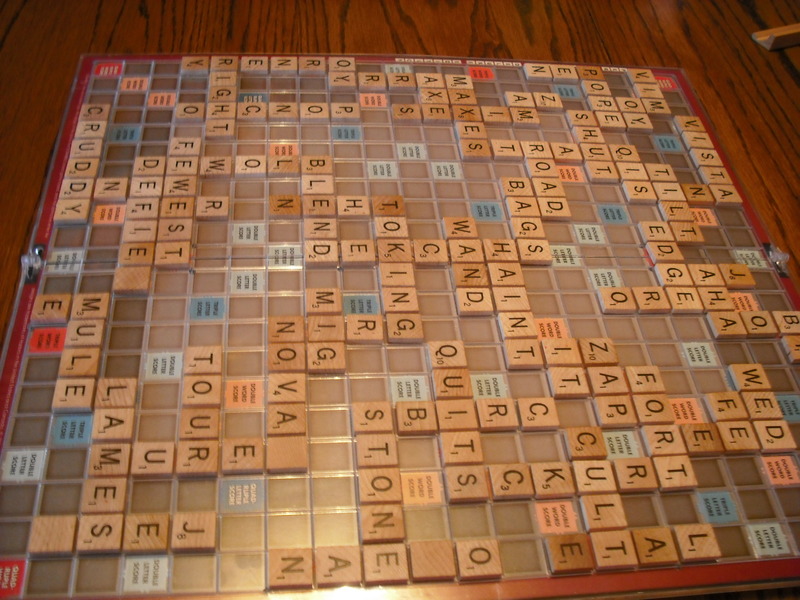 There is a World Scrabble Championship which is held every year with players from more than 30 countries. This championship is the most prestigious title in competitive English language Scrabble. Contestants come from more than 30 countries to compete. The 2017 North American Scrabble Championship is scheduled to take place in New Orleans. While we will never make it to the national championship, we keep up a tough competition between us. Many of our games are very close but last January was one for the books. When the game ended I was one point ahead of my husband. However, because I had one tile that I had not played, its point value had to be taken from me and added to my husband’s score. That gave him the game with one point ahead of me. Needless to say, I was NOT a happy camper. We also compete to see who can get the highest score in a game. So far, my husband holds that title with a game played back in May 2015 with 961 points. Yes we do keep records of our scores. I told you we are addicts. Another area where we compete is to see who can play all seven tiles in one turn. For years I was way behind my husband. But slowly I have learned to do as he does and keep shuffling my tiles around to see what words I can make. Of course, this takes time so we have to be patient with each other. Some of the crazy words we have come up with over the years include unbonnet and yaupings. He loves to keep reminding me that twice he has had a game where he played all seven tiles five different times. We have become familiar with the Greek, Hebrew and Arabic alphabet as those words are allowed in Scrabble. There are 105 playable two-letters words in a regulation Scrabble game, according to the Official Scrabble players’ dictionary and we have memorized most of those. My name is Barbara and I am a Scrabble addict! I must confess that I am constantly looking for new words to use in a game. When I read a book I am on the outlook for new words. As I glance through a magazine, my eyes just seem to latch on to new words in the articles or the advertisements. I actually “read” the dictionary looking for new words. All my other hobbies take a back seat to the game – reading, writing, watching TV. None of these are as important as getting my husband to join me in a game of scrabble. My husband is an addict too! He also reads the dictionary learning new words. He loves to take words he already knows and search to see how the plural or past tense would be spelled. He recently started making a list of all the new words we find and use in our games. Our daughter thinks we are nuts! We take our Scrabble games seriously. 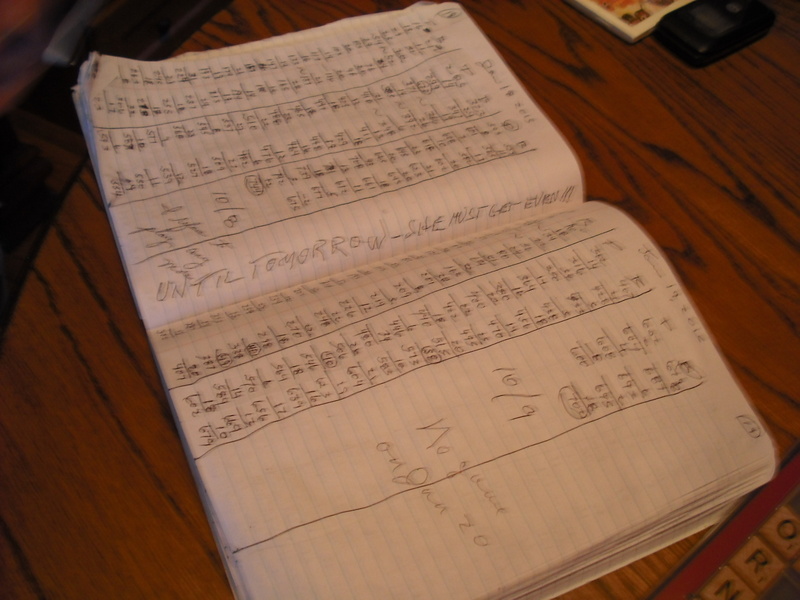 We have kept score of every game we have played since 2008. Even the games we play with family or friends is entered in our book. We may have gone too far this winter! With the cold weather we have been indoors more than usual the past few weeks and I think our Scrabble addiction has gotten out of hand. My husband is now keeping a record of our average scores for each month. We are in a serious contest to see who wins the most games for each month. We play only Super Scrabble! We really need warm weather to return so that we can regain some sanity and move on to other interests before our addiction overtakes us completely. If you are addicted to Scrabble too, let me know. We could start a Scrabble Anonymous Club.